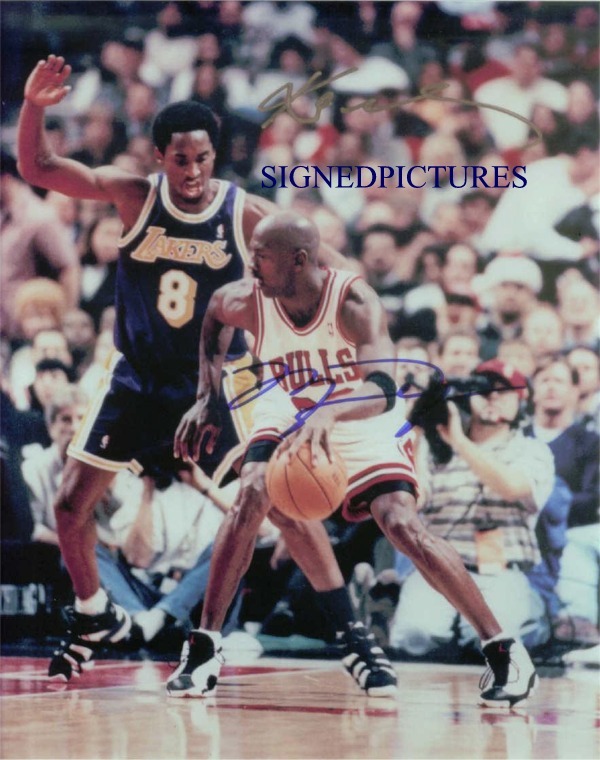 Excellent professional reproduction autographed picture of MICHAEL JORDAN and KOBE BRYANT. This professionally printed photo is of fantastic quality, high clarity and ready for framing. Autographs of both are preprinted within the glossy 8x10 and shipped very secure, waterproof with a clear firm plastic photo protector and includes a certificate and guarantee. Makes a great gift. Price includes shipping. SIGNEDPICTURES text will not be on the photo you receive.